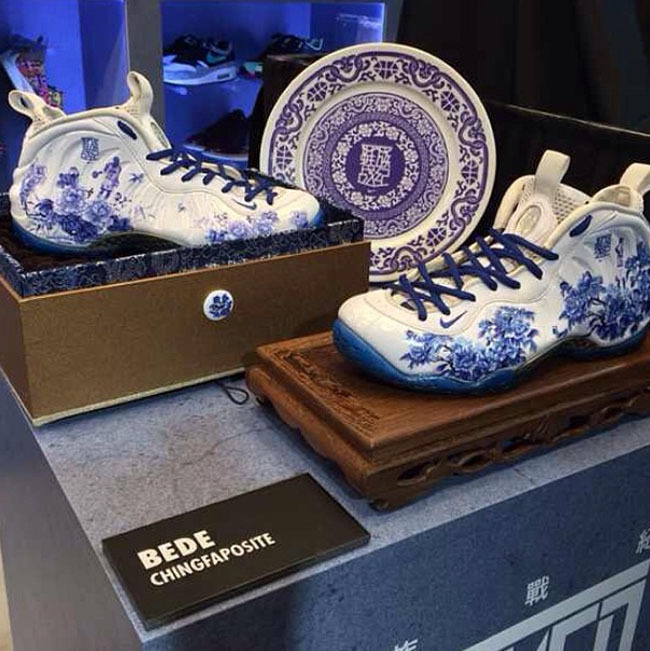 Check out this Foamposite inspired by fine china. At this point, the only detail we have, via Sneaker News, is that this Foamposite was recently spotted at Nike China's Sneaker Battle. The China the title refers to isn't the country though, but the dinnerware - you know, the type made of porcelain, and only brought out by your mother for special occasions. It's unclear whether this is a custom, or possible sample, so check back for more information as it becomes available. And in the meantime, let's hear what you think. Would you be interested in a pair of they were to release?